Take a look at our work around the world this January. As 2019 kicked-off with celebrations, our teams continued their work around the world responding to humanitarian crises and treating vulnerable communities in need of healthcare. For the new year, this month we're focusing on innovation. From Yemen and Jordan, where two innovative surgical units are treating war-wounded civilians, to a cutting edge trial to find a new cure for tuberculosis (TB), MSF is striving towards breaking boundaries in emergency humanitarian medicine. 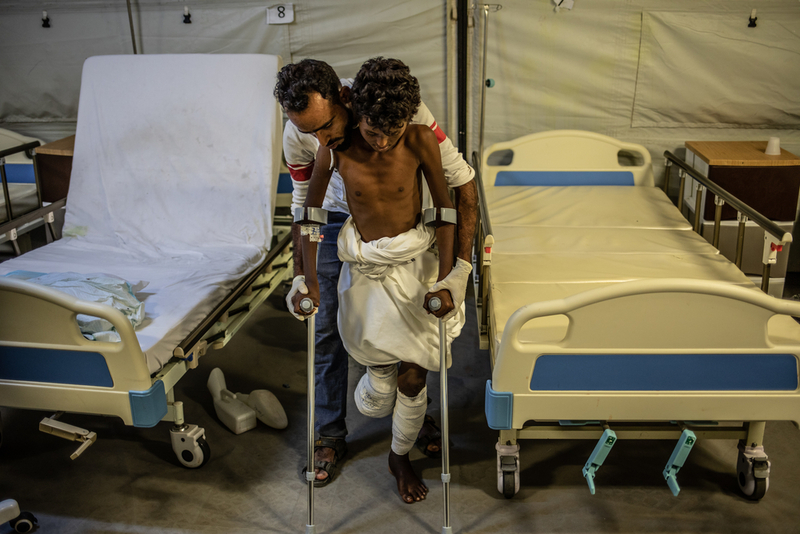 In Yemen, MSF is treating large numbers of people injured by landmines - one-third of them children. In this video, we visit Mocha hospital, the only medical facility in the area providing emergency surgical care for war-wounded patients. In Cameroon, a little-known exodus has been taking place since 2016 with over 30,000 people having now fled western regions of the country to seek refuge in southern Nigeria’s Cross River State. Teams from MSF have launched an emergency response to provide aid to the refugees and the communities hosting them. Originally set up in 2006 to treat casualties from the Iraq War, MSF's reconstructive surgery project in Amman, Jordan, provides life-changing care for patients from across the region who may not have access to medical treatment in their own country. The team have since cared for patients from Syria, Libya, Yemen and Occupied Palestinian Territory. Maria, a communications officer from MSF Jordan, gives us a guided tour of this innovative humanitarian hospital. Tuberculosis is the most deadly infectious disease in the world, estimated to kill 1.7 million people per year. However, for patients with multidrug-resistant TB - a strain of the illness that does not respond to normal antibiotics - an arduous two-year treatment programme can often be worse than the disease itself.